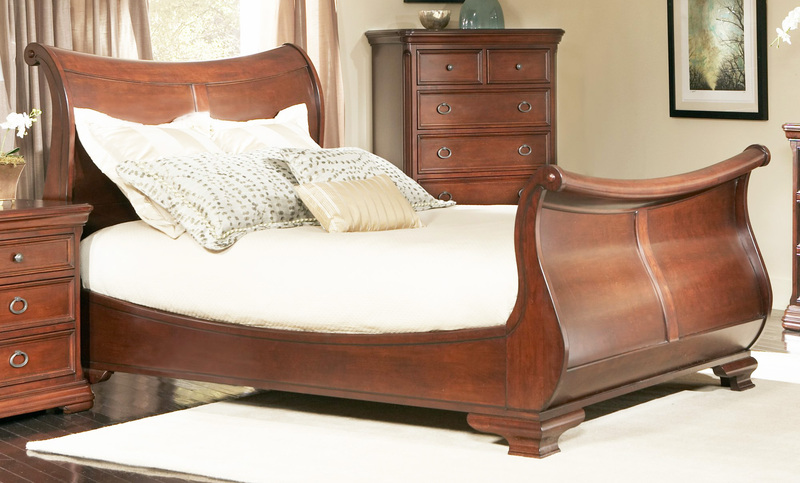 The name of sleigh beds came from its overall shape which resembles a Santa Claus sleigh. Once, it also called as French bed. 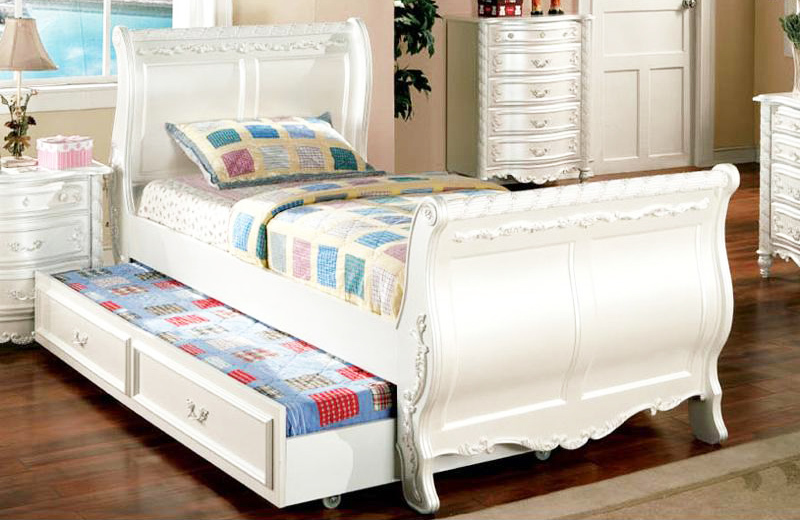 The main characters are the scrolled footboard and headboard. This type of bed was popular in America in the beginning of 1800’s, when the French Empire was really hot trendsetter. 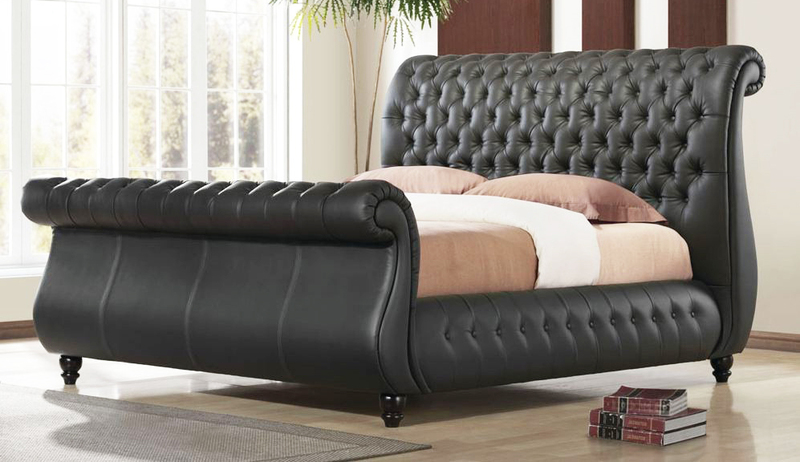 The beds are either of wood or metal and it will always enchant a bedroom with the fluid and gorgeous looks. Well, you may feel really comfortable snuggling on it. To add a soft touch to the heavy wood appearance of headboard and footboard in sleigh beds, give your bed a soft blue color. It will also tone down the overall atmosphere of your room. If you happened to have found a classic sleigh board, you could also try to pad it with fabrics. To add contrast and dynamic, you could use an unexpected color. As an example, you could use cream or white to emulate a pleasant cottage. Moreover, if you want to energize your room, you might splash a brilliant hue. 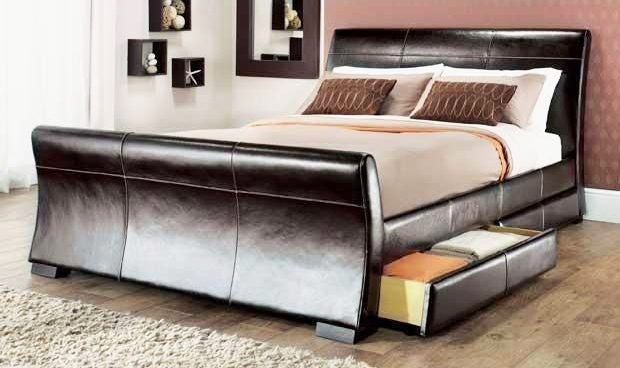 For the finish, choose the high-gloss one to amplify vibes and emphasize the bed’s curvatures. In addition, if you want a light atmosphere without being burdened by visual weight, you could utilize a Biedermeier-style daybed. 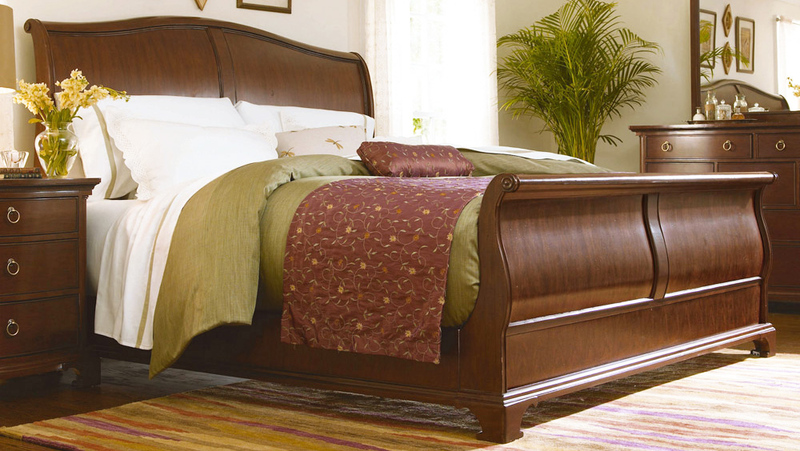 For low profile sleigh beds, you could choose the one minus of its footboard. You will find that this type of bed is really nice for your room. As an added advantage, you could also change the sheets far more easily. Furthermore, if you find yourself uncomfortable when leaning on the curved slab of headboard, you may put cushion on it. You could put upholstery complete with its nail heads along its edges. This will give you a fantastic look to the bed. The most important is your head could rest comfortably on the headboard. If you find difficulty in deciding the color for cushion, you could always choose the classic white. To save the place when using sleigh beds, you could use it to be outfitted with a trundle bed that can be pulled out whenever you need it. This will give you an easy access to an emergency bed when you have a guest or when your kids bring home their friends to sleep over. If you want to add an extra plush overall appearance, you could always add plush fabrics such as suede or velvet. For more sumptuous look, just add it a canopy for extra pluses and glam. You can expect to have a skirt on this bed, but you can add slipcover to the bed to add softness for its bottom. Furthermore, this is also a method to refresh the bed looks that save you from an amount of money as you do not need to repaint the frame. 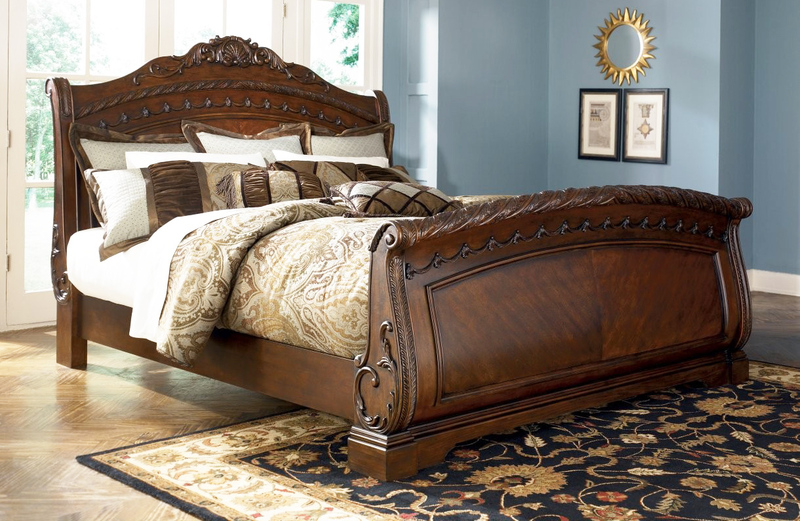 If you are into a classic yet rustic look for the sleigh bed, you can recast your bed in metal. 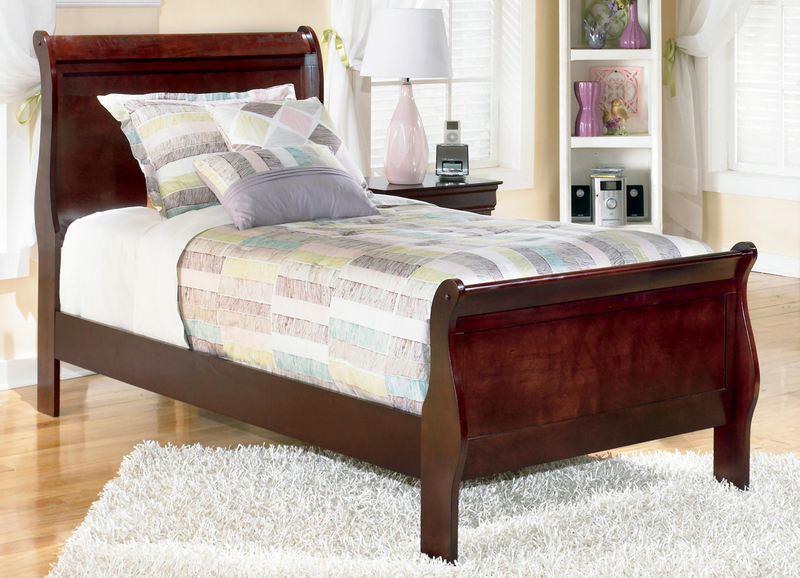 You will have the simplified version of your bed that will satisfy the rustic feeling. 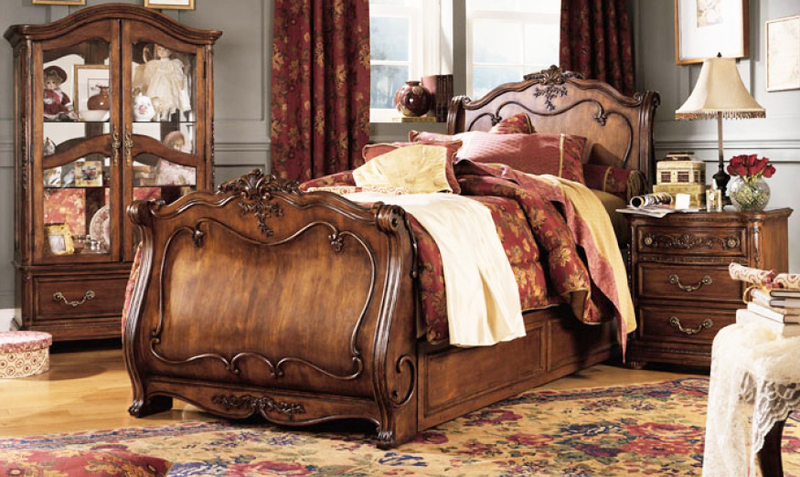 Those are several tips and ideas about sleigh beds that might help you to decorate your bedroom. You can adjust the wood color with the color of your home design.